If You Haven’t Seen This Hilarious Dog Yet, You NEED To! 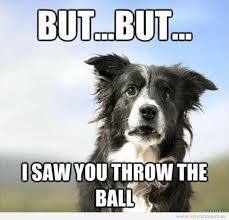 Are you the one dog owner in the entire world who has never tricked your dog in to thinking you were about to throw something and then holding it back? If not, you’ll probably appreciate this.